Although Battlefront II was not the most acclaimed game of 2017 and has caused many to go to the dark side with their hatred towards EA (Master Yoda warned us! 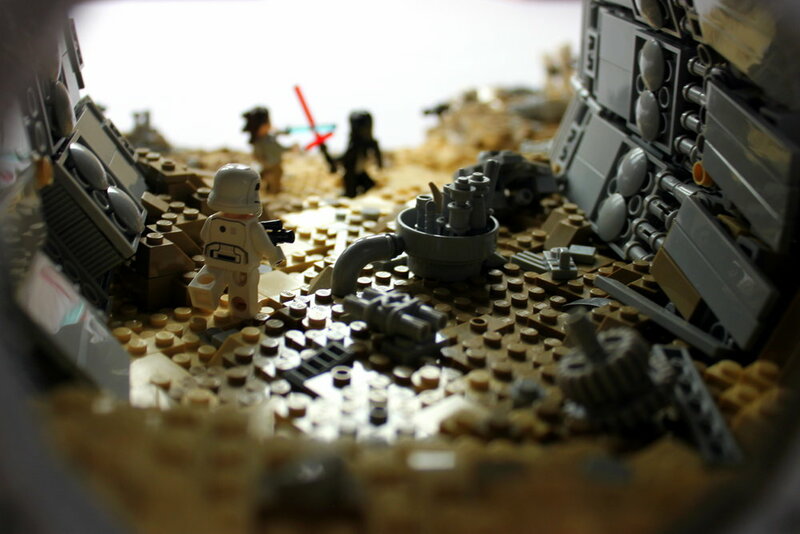 ), it is one of the most visually stunning games I have ever seen, and the same can be said about this MOC by First Order Lego. The chaos and scale do justice to the game and the textures make it hard for me to take my eyes off this diorama. I would highly recommend checking out the other shots of this beautifully detailed MOC!